World of Tanks has to be one of the most aptly named titles in recent years. It can be summed up in one easy phrase: ‘Take control of a tank and go battling other players all over the world.’ That said, while there’s a huge amount of satisfaction to be gained from driving a bloody great big tank around and firing a sodding huge gun, there’s also a lot more depth to World of Tanks than that. This is because World of Tanks treads a very fine line between being an instantly-accessible arcade shooter and a full-on tank simulation. The basics of moving and shooting are incredibly easy to pick up, for example, with the keyboard handling all the movement and the mouse controlling your turret. 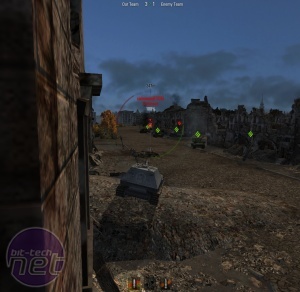 However, while picking up the basics is easy, putting them into effective practice is another matter entirely, and this is where the game's tank sim aspects rise to the fore. For example, not only do you have to spot and hit a target (no mean feat in itself), but you have to hit it in the right place to do any damage. 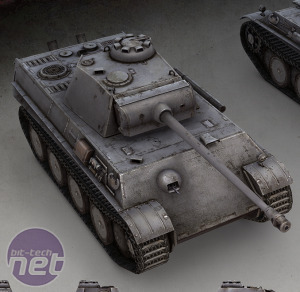 This is because each gun and each of the multiple ammo types it can fire have different armour penetration values, and these can differently affect tanks depending on where they hit. For example, most tanks have thicker armour on their hull front and turret front than their rear or upper decks, so you're encouraged to aim around these areas if possible. 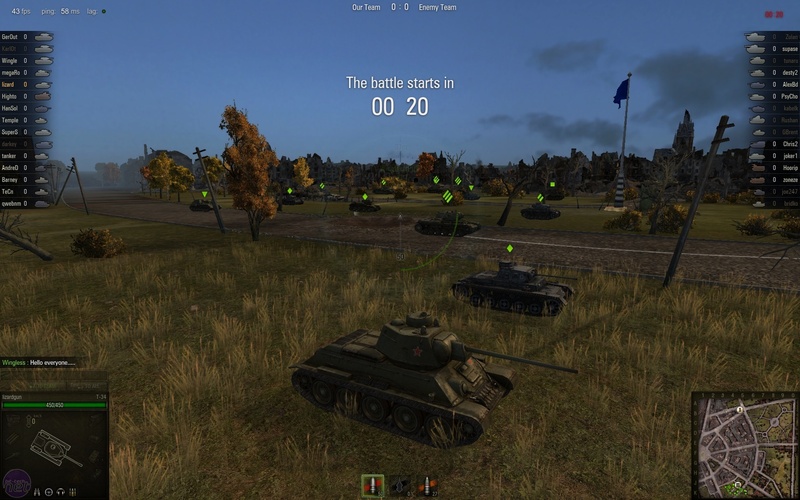 Right now there's only one game mode in World of Tanks, and it pitches you in randomly assorted teams of up to 14 other players against a similarly selected team with the goal of killing each other. Battles have a fixed time limit of 15 minutes, after which rewards are doled out in the form of experience points and credits, depending on how well you played. 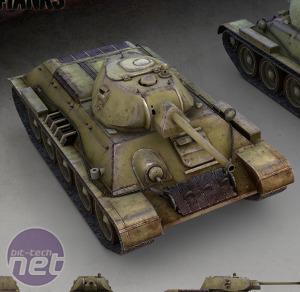 These experience points and credits can then be used to upgrade and buy new tanks to add to your virtual garage. 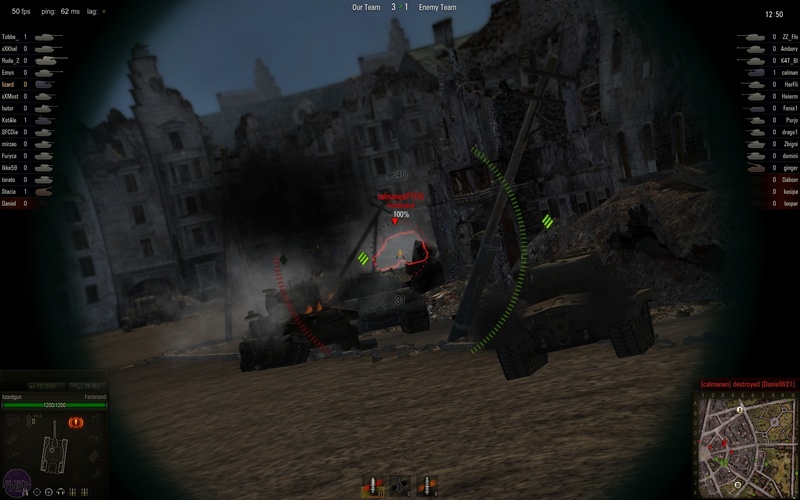 The garage is a key part of World of Tanks; because it can contain multiple tanks, if you die mid-battle you don’t have to wait until the end of the round before you can start playing again. 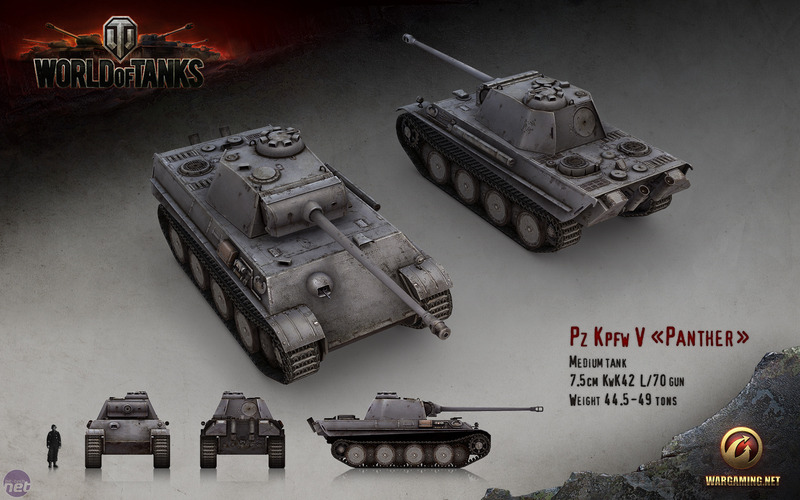 This means that, unlike the vast majority of multiplayer games, you can play almost continuously in World of Tanks. Even though there's only one play mode, battles themselves are very varied because there's a blend of five different classes of armoured vehicle that you can command. 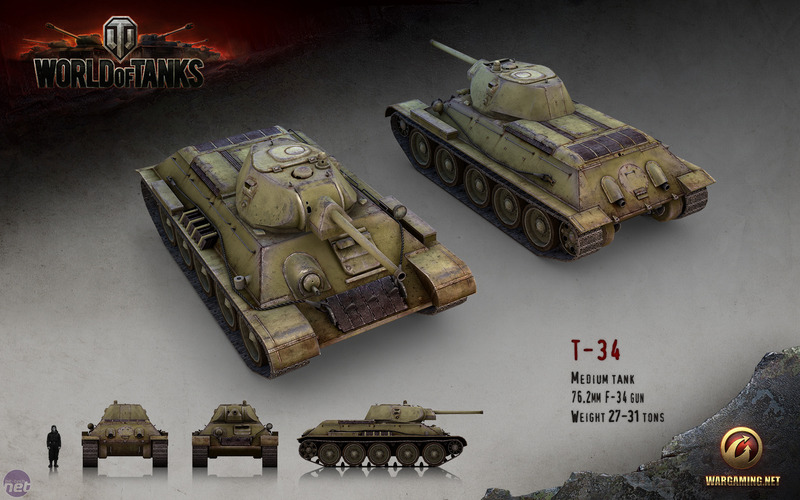 The three basic classes are light, medium and heavy tanks - light tanks are nippy scouts, medium tanks are good all-rounders and heavy tanks are slow, powerful juggernauts. There are two other classes which sit outside these parameters, however; the exotic tank destroyers and self-propelled guns. Tank destroyers are a World War II curiosity - turret-less tanks that mount mammoth forward-firing guns behind a well-camouflaged armour shield. This makes them particularly effective long range snipers and base defenders. However, because they have no turrets and are equipped eggshell-thin rear and side armour, tank destroyers are very vulnerable to being flanked by more mobile tanks. Beware of tank destroyers, and their sniping über guns of doom! Meanwhile, self-propelled guns mount huge indirect fire guns that can span across the whole of a map on a barely mobile, paper-thin armoured chassis. 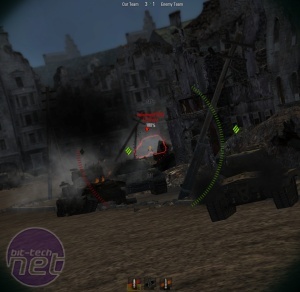 This means that, unlike all the other classes, which are either played from a first person turret view or over-the-shoulder external view, SPGs are played from a top-down view of the battlefield. 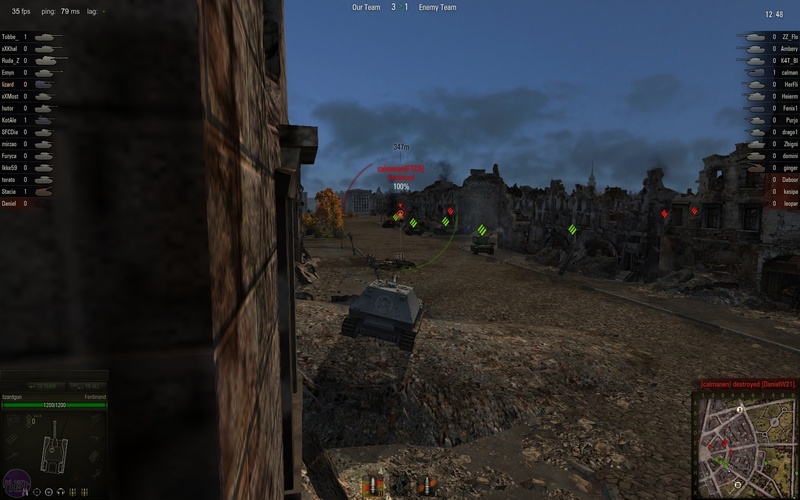 However, while SPGs can seem a bit godlike at first, they still need to be able to line up on a target - which makes terrain an important factor given the parabolic arc of tank shells.